This very tough textile sheath is particularly suitable for hydraulic and pneumatic applications. 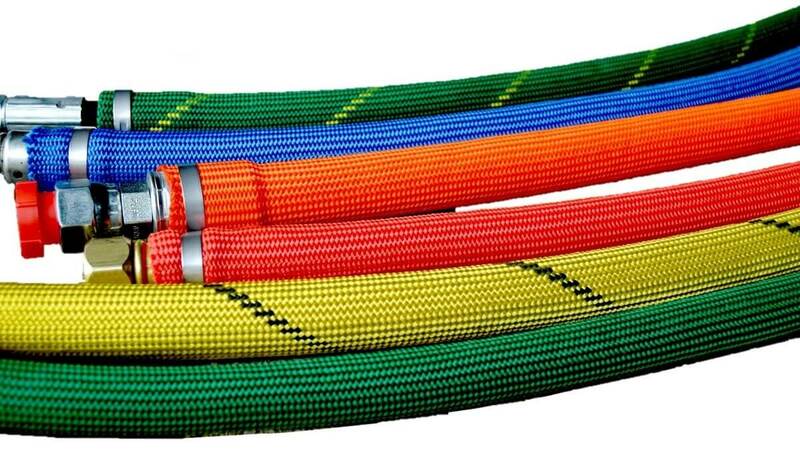 It can be used to bundle multiple hoses or to protect a single hose. Thanks to the toughness of the material used it has optimum resistance to mechanical stress and optimum compatibility with oils and organic products.